Welcome to The Daisy Foundation Torbay. 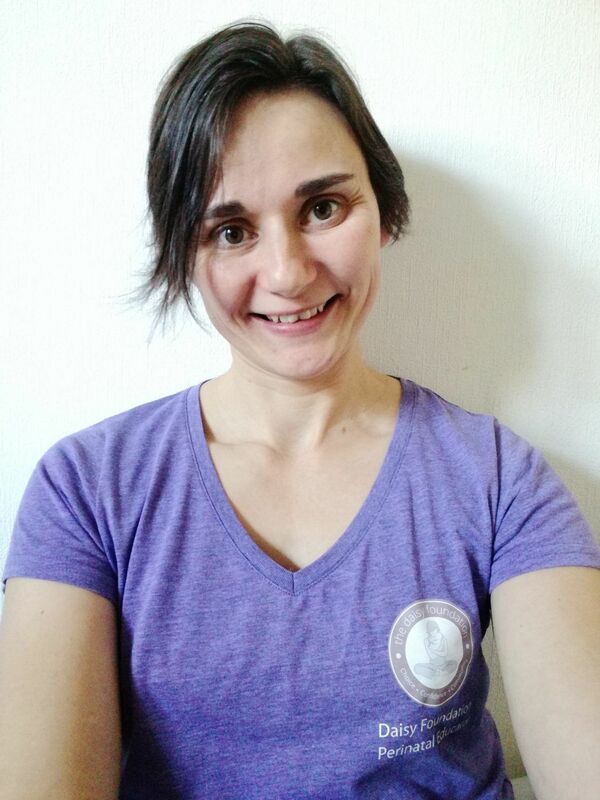 Kate currently offers antenatal support to Mums and Families across Torbay with mums and families from the wider region attending her classes and workshops, which are located at Marldon Public Hall in Paignton and St John's Church Hall and Cockington Court, both located in Torquay. With a background in Nannying (and of course her own experience with her two children!) she brings a wealth of experience to her role as a Daisy Foundation Perinatal Educator. “I currently offer perinatal support to Mother's and their partners across Torbay. I bring with me a wealth of experience and knowledge to my role as an perinatal teacher and I look forward to meeting lots of Mummies, Daddies, Bumps, Babies and Toddlers over the coming weeks, months and years." I started my journey with The Daisy Foundation in 2012 whilst pregnant with my first son. For me, The Daisy Foundation gave me a positive outlook and the confidence and understanding of pregnancy and labour. I found the classes relaxing and informative and I knew then that I wanted to bring The Daisy Foundation to the Torbay and give more women the opportunity to have a better understanding of pregnancy and labour in a positive way (not to mention a whole hour and a half of relaxation concentrating on just you and your baby)! Daisy Infant Feeding - A workshop for expectant mums either alone or with their partner to help understand your feeding choices. As we explore breastfeeding, cut through all the myths and challenges and prepare for your own confident feeding journey. Our unique Daisy Infant Feeding Workshop draws on the best of breastfeeding education, responsive bottle feeding knowledge and parent preparation to create one very powerful combination. From equipment to sterilization, overcoming breastfeeding challenges to exploring other options and informing your own individual choices - we've got you covered. Daisy Baby Tinies - A weekly postnatal class for mum and baby in the 'fourth trimester' to help you learn how to use baby massage and movement to aid calming, soothing and connection with your baby. Our unique fourth trimester mum and baby class draws on elements of baby massage, baby yoga, postnatal movement and baby care education to create one very powerful combination. From easing infant ailments, aiding their development, adapting to your postnatal body and easing in to your new role amongst friends - we've got you covered. Daisy Baby Wrigglers - A weekly class for mum and baby to help you learn how to use a variety of tools such as: baby massage, baby yoga, rhythm, rhyme, story and (baby) sensory experiences to aid your baby's development, your connection and have fun together! Our unique mum and baby class draws on elements of baby massage, baby yoga, rhythm and rhyme and baby sensory experiences to create one very powerful combination. From easing infant ailments, aiding their development, growing your connection and learning about baby's key stages amongst friends - we've got you covered. Daisy Mama - A weekly class for mums to help you relax, recharge, heal and calm both your body and mind, supporting you as you navigate this new phase of your life. Our unique mind/body movement method draws on elements of postnatal yoga, mindfulness, pelvic floor recover, mind/body movement and relaxation to create one very powerful combination. From calming your mind, adapting to your healing body, settling your emotions and replenishing your reserves - we've got you covered. Daisy Active Birthing Workshops – Torquay. Daisy Birthing – Torbay Olympic Gymnastics Club, Torquay. Daisy Mama – Torbay Olympic Gymnastics Club. Torquay. Daisy Tinies – The Play Cafe. Torquay. Daisy Tinies – St John’s Church Hall, Shiphay. Torquay. Daisy Tinies – Torbay Olympic Gymnastics Club. Torquay. Daisy Wrigglers – Cockington Court. Daisy Wrigglers – St John’s Church Hall, Shiphay. Torquay. Daisy Wrigglers – The Play Cafe. Torquay. Daisy Wrigglers – Torbay Olympic Gymnastics Club. Torquay.